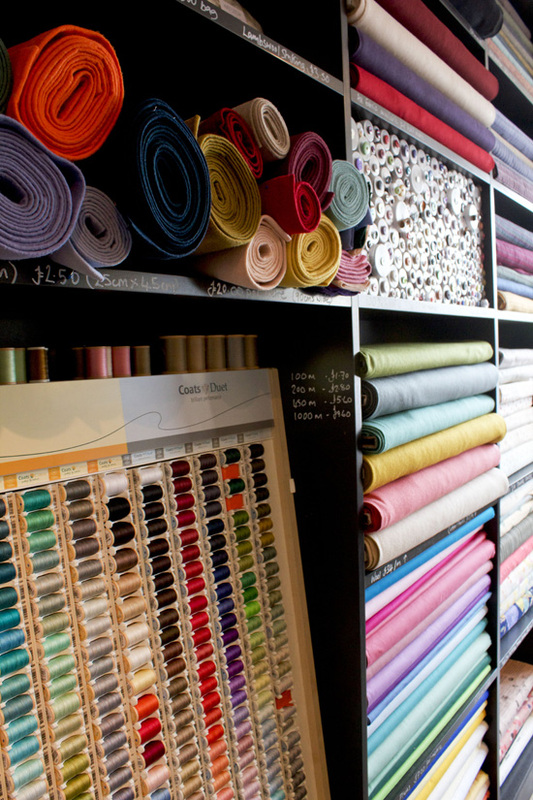 Today, I’ll be rounding up my London, UK shop tour series with Ray Stitch; one part haberdashery shop, one part workshop space, and one part coffee / sandwich bar – the perfect combination! 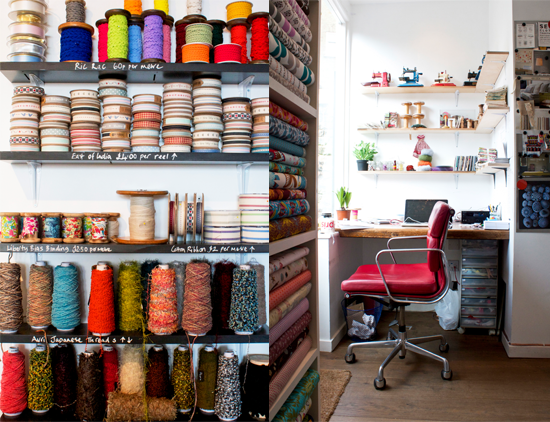 Started as an online shop in 2008, Ray Stitch set up shop in North London in August 2011. Created by Rachel Hart, an avid ‘maker’ of all things, Ray Stitch was borne out of the desire to find not only good quality materials, but also the necessary tools and accessories all in one place. 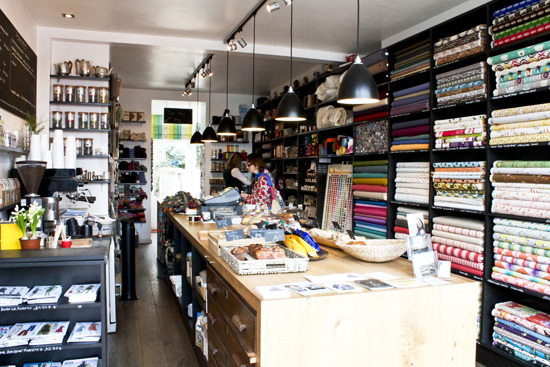 Set over two floors, Ray Stitch is a sewer’s dream with a carefully chosen selection of fabric and haberdashery on the first floor including vintage Vogue patterns and Merchant &amp; Mills sewing pins. Workshops are available on the ground level for beginners and intermediates as well as special events such as the recent Uppercase Meet and Greet for the launch of issue #13! 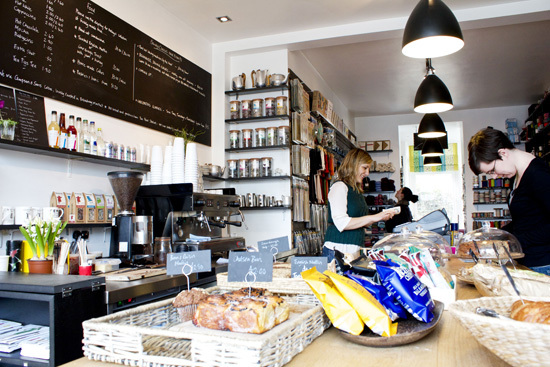 Back upstairs, Ray Stitch also has a café with sandwiches and of course, tea and cake! If you like taxidermy, make sure to check out Get Stuffed around the corner! 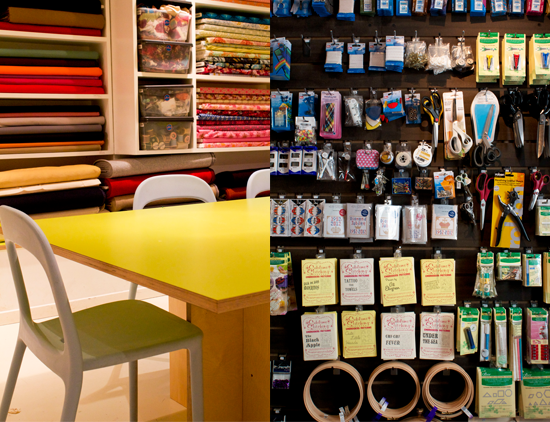 Contributor post from Andrea at lotus events / Got Craft? Andrea is a Vancouverite that has spent the past year living in London, UK. She has a love for handmade indie craft, independent shops, travel, and vintage goods that she shares on her blog and via twitter. I moved back to London from LA a year ago now live very near Ray Stitch. I walk past it every day on my way to work and can't wait to stop in soon to stock up on all my sewing gear. It looks like a great little shop. Thanks for posting. great post!! love it and inspiring me a lot! 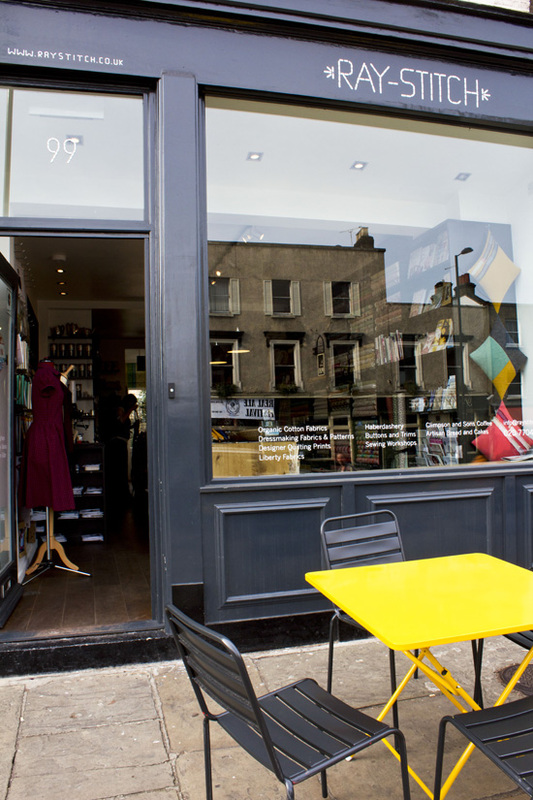 This is one of my favourite shops in London :-) and Islington one of the most inspiring areas in town. That would be my dream to have a shop like this! Thanks for sharing.